​Wondering what Digital Breast Tomosynthesis is all about? You are not the only one. This newer solution to breast imagining eliminates the difficulty of two dimensional image layered on top of a three dimensional image. Doctors are spending more and more time deciphering if a finding is something real, or an overlapping of structures. This is very common with mammograms. When women are asked to return for a closer look at their mammogram, only one thought goes through their head, cancer. And while there is nothing to panic about yet, this is an uneasy feeling no one should have to go through. Digital Breast Tomosynthesis might just be the answer. 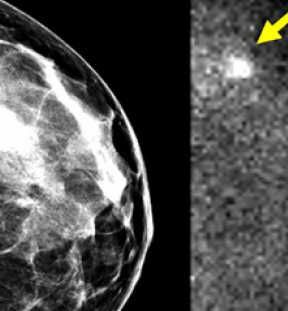 Digital Breast Tomosynthesis has been adopted by an increasingly large number of practices. While the detection rates are excellent, some are worried adverse side effects, like radiation too close to the breast and lack of reimbursement from insurance companies. Experts say, this is a great tool in breast cancer detection. It however, should not be the first, or only tool used. Until the benefits out way the cautions, we will be anxiously awaiting. Lucky for us, the modern world of medicine makes amazing advances every day, bringing us closer and closer to a cure.